Well done to the 4H folks and Mr. Everton Hunte! 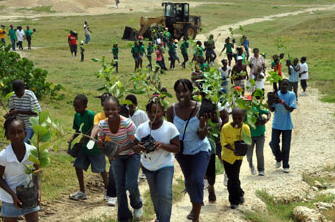 Hundreds of children from the 4H movement are involved in the growing of seedlings and planting of trees in an effort to beautify and stabilize coastal areas in Barbados. On Saturday 4H children planted over 1200 trees on the East Coast where the soil had been slipping in part due to the lack of plant roots and cover. The major benefit from the exercise though might be what the children learn about working together for the common good – and that ordinary people can make huge changes in the environment and the landscape. While we’re not privy about which people were the driving force behind this project, from the accounts in the papers Mr. Everton Hunte, Chairman of the Barbados 4H Foundation, is obviously providing the kind of leadership that inspires everyone to do their part. 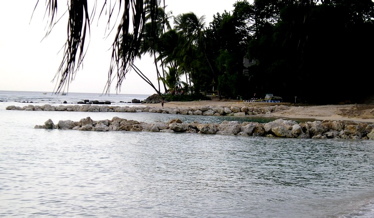 Should We Put Everton Hunte & 4H In Charge Of Saving the West Coast Beaches and Fixing The Sluice Gate at Graeme Hall Mangrove Wetlands? Can the West Coast beaches and the Graeme Hall Mangrove Wetlands be saved with the help of the 4H Movement? 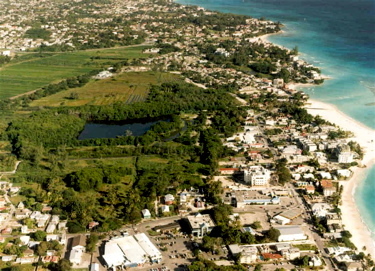 Despite formal Graeme Hall Nature Sanctuary offers to government to help with Worthing Beach sluice gate operations over the years, almost nothing has been done, resulting in significant environmental degradation at the Sanctuary.